Home » cloth diapering » AI2? Something new? I recently won a blog giveaway for a $20 gift certificate to Wee Little Changes. I have browsed at Wee Little Changes (free U.S. shipping!) in the past but never placed an order through them. I’ve been browsing again trying to decide what I might like to order. I am debating going with something that I know works for us (which are BG OS 3.0s right now) or branching out and trying something new because it won’t cost me very much. I think I’ve decided to try the GroVia AI2. My thinking is that the AI2 system looks very intriguing. While I love the pockets we’re using right now, I’m a sucker for new things and also for cute prints! Plus, I have some Amazon gift cards from Swagbucks and an Amazon coupon so I could also get an additional GroVia shell and boosters for very little money out of my pocket. Decisions, decisions. 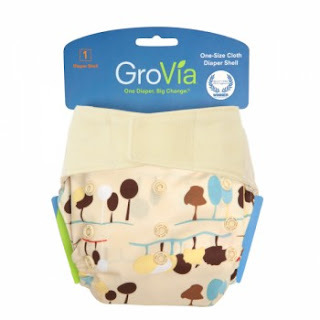 I’ve been debating this for a few days and I think I’ve finally committed to trying the GroVia AI2 but now I have to decide on which print I want to get. At least I know I definitely want a print and that I definitely want aplix. We’re definitely aplix lovers at this point. It works best on W’s little chub of a belly. So now to decide… owls or nature? And from Amazon, I can get a blue birds if I’m quick. I would also get some extra inserts and have a nice little sample to try out. I love the birds too. They are just adorable. My mom would love them too. And I’m sure W will look fabulous in them! Can you tell, I’m already ready to click the buy button? Oh, what to do! 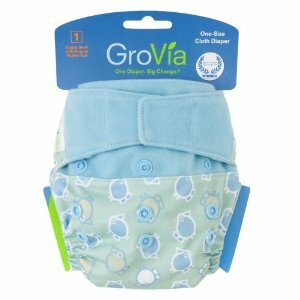 Cloth diapering has turned me into a monster! Yes, I’m addicted. I confess.